It took some itchy rashes to realize that Coenzyme Q10 just isn’t suitable for me even though it is said to provide great skin benefits. What a bummer right? And it’s kind of strange considering that Coenzyme Q10 or simply CoQ10, is a powerful antioxidant naturally found in our human cells that helps convert food into energy. The reason why I was certain it caused my rashes was because when I stopped taking the particular supplement contain CoQ10, the itching stop. And when I resumed again, the itchy rashes returned. I’m not sure if the rashes was a result of the dosage of the vitamin or because it reacted with other supplements I was taking at the same time. Nonetheless, I’ve decided that CoQ10, despite the various ways it is said to benefit our skin, is just not right for me. My experience also brought back memories of accompanying a friend who developed a more severe case of rashes after taking a particular brand of supplement that also contains CoQ10. So even though many have raved about the benefits that CoQ10 provides their skin, this vitamin isn’t suitable for all. In my research into Coenzyme Q10, I’ve found that there are no serious toxicity associated with its use. However, at certain dosage, it presented some symptoms and rashes was one of them (source). I also found this post-marketing study of rashes among people who take Coenzyme q10. Of the 299 people who have reported to have side effects when taking Coenzyme q10, 20 people (6.69%) have reported a rash condition. Hence, my suspicion of CoQ10 causing my itchy rash isn’t unfounded. My experience is most probably rare though because for most people, CoQ10 is not only a potent antioxidant that removes free radicals, but it helps keep their skin cells healthy by stimulating collagen production and even protecting against UV damage and photo-aging. So it has become a coveted ingredient in the skin care industry and has found its place in topical products too. And I’ve used skin care products containing this ingredient without any adverse reactions though. The reason I am writing this is not to discredit Coenzyme Q10, but rather to let others know that they should be careful in their choices, even those that are recommended here at Viva Woman. While some supplements may work well for others, it may not work so great for some simply because our body conditions differ. It’s best to read up more about the product or the ingredients before committing yourself to trying. However, should you get started on something new and find yourself developing any adverse conditions, do stop instead of continuing with the product. Younger skin with Coenzyme Q10? Why you should give up yogurt for kefir, the new beauty elixir for gorgeous skin Give Your Skin A Boost With Algae In Estelle And Thild Super Bio Active Magic Duo Share: give or receive unsolicited beauty advice? 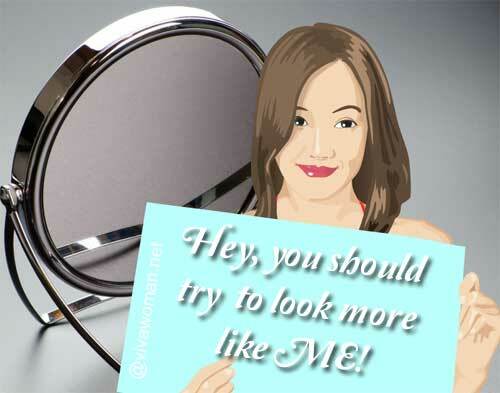 Previous Post: « Beauty Fun: excuse me lady, are you a walking carrot? How was your rashes like? Hmm…this got me thinking, could my rashes/ezema around my mouth could have triggered by my chlorella supps? Small red patches around my fingers, hand and back that caused me to scratch. My friend’s experience was very bad…she had eczema like breakout on her face. For some people rashes around the mouth are due to the toothpaste used. Although ingredients like CoQ10 are advertised with such great benefits I try to steer clear. I try for simple products that clean and moisturize. It’s easier that way. It’s definitely a good thing that you can decipher what ingredient was giving you the rash, usually that’s the hardest part to figure out. 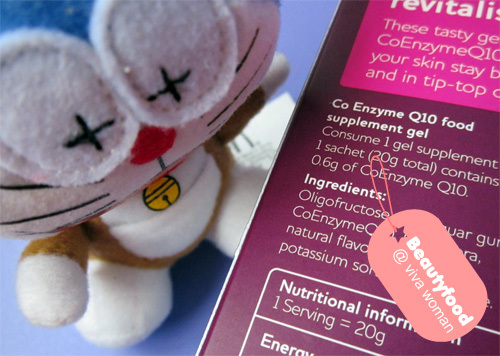 This is a supplement so it’s easier to detect…it would be harder if it’s a skincare cosmetic product. There are so many possibilities a rash can develop. What are the other ingredients in the supplement? What is used to stabilise the enzyme in this product versus other products could be different too. While you may feel you have evidence, the conclusion still sounds like ‘a shot in the dark’. Regardless, thanks for sharing! Yes, true…you have a point that there could be other ingredients causing issues too. The list is quite short with ingredients like aloe vera for example so I singled out CoQ10, which is considered a key ingredient. The dosage is 600mg I believe so that maybe too high for me. It could possibly be a shot in the dark but I’ll definitely be more careful trying supplements containing this ingredient going forward. I’ve been using CoQ10 masks and my skin feels and absolutely great. But then, it’s not supplement which you have to intake it into your body. Perhaps you’re the sensitive body type..?.. It works okay for me with topical application. I guess my body cannot handle the vitamin internally. Supplements are important in my opinion but it can be tricky to find what works. I’ve had good experience with fish oil for a while but suddenly, I broke out eating them. So now, I have stay away from fish oil too. My mum has eczema on and off on her arms. I just told her about your post (my parents both take CoQ10 supplements) and to do a trial to see if they aggravate her eczema by stopping for a time and then taking again. It might or might not…but I’ll be interested to know what happens. actually the reason why am frequenting your blog these days is because I am demotivated to look good for I think about 2 years now.. its probably because I am a single mom and too busy caring for my 6 year old daughter, my mother who has been battling cancer for 2 years now using natural therapies…. and not bothered (at least not yet).. that I am single and probably will remain single… not dating.. just going to work and office everyday.. there is really no reason for me to look good.. except that my daughter seems to start noticing my looks and telling me I have to wear make-up, fix my hair and wear nice clothes.. just like the pretty moms in school.. so what the heck.. I think I should do a rain check and see what other moms are doing in the looks department… glad to see that your beauty blog is trying to be 100% all natural without being totally isolated from reality (that we cant be all natural in this day and age anyway).. I have not had manicures or pedicures for a year already.. my grey hair has started showing again (my last salon appointment was 3 months ago).. yeah I have to pull myself to a salon for my daughter;s sake and so that my mother have to stop nagging me about “not letting myself go”… the good news is I am now improving my diet and starting to exercise again… if not for the looks but at least for health’s sake..
by the way, I am 36 years old… if that even is related to not beign motivated to look good.. Your daughter is a good motivation to make an effort to look better, the fact that she wants you to! I know how life and reality can drain us of our time and energy for ourselves but do keep some “me time”. I’m glad and thankful that you read my blog… 🙂 I think hair is quite important to maintain well and if you eat well, take good care of your skin, the rest are secondary. You can try doing pedicures yourself…I do that. However, I don’t do manicures often because my hands are needed for housework and so it’s kind of difficult to maintain. I have had severe eczema since a child & I have used vit E for 30 years & I seldom had a breakout since using the Vit E…UNTIL I started to use COQ 10. I’m breaking out on my hands, and this week getting rash on the corner of my mouth.Been taking COQ 10 for about 3 months and the past 3 weeks noticed the break outs. Going to stop taking it, even the cortisone isn’t working. Glad I read this post, I now remember why I quit using it 10 years ago. My doctor suggested I take coq10 last July to help with the side effects of cholesterol lowering drug. After 3 months I noticed my eczema was worse. It is all around my mouth and between my fingers. and will get better for a day and then it is back again. It dawned on me last night that the only new thing I am taking is coq10. I love the energy I have but will stop now to see if that is what is causing the breakout. Wow I wish I would have found this 4 months ago. I’ve suffered numerous trips to the dermatologist , a trip to Urgent and finally the emergency room. The rashes would come and go with such a fury. The first bout was relieved with cortisone creams and finally a steroid injection, the second a steroid cream, then finally the last rash was not responding to anything….who would have suspected a vitamin I’ve been taking? Then the doctor asked if it could be a new vitamin or one with a dye in it. As soon as I discontinued the CoQ10 relief came. I will begin to retake my other vitamins in a few days. So it happened for you too and yours was pretty severe! Good thing your doc asked you the right question. what was the cause ? maybe i’ll call the fda and offer to send them some tablets. do you think they’d be interested ? if anything was proven would anyone from the pharmaceutical industry be sent to the slammer for 20 years, or so ? if that’s an honest result, then those seven or eight percent must be total morons. Oh both you and your husband? Hmmm…doesn’t sound like a coincidence to me. Hi Sesame, I started on the Q10 supplements 3 weeks ago to see if it could help with energy levels, along with the other supplements I always take. I am known to be severely hypersensitive to medication, but had not expected this with Q10. i started at a dose of 200mg daglig (recommended by a doctor) and now I am down to 100mg the last two days. The side affects I discovered to be related to Q10 are photosensibility and increasing headaches :-(. When I did some research on the supplements I could see that these are very rare sideeffects. However I often get the rare side effects to medications. But now after reading your article I can see that it must also be the reason for the sudden outbreak in my eczema the last couple of weeks. i have it on my eyelid and on my hands and elbows. The headaches have improved after the reduction in dosage, but i am still feeling photosensitive. I will stick it out for a couple of weeks more, to see if it improves when my system gets use to the supplement. I love how coq10 speeds up my metabolism and helps me lose weight, BUT I have also developed blotchy, painful, itchy skin rashes in my elbow, between my legs, and on my rear! I hate to give up. Do you know of an alternative? Me too. I’m going to stop by the taking it. Should find out soon. I take 400mg daily due to severe bruising & thinning skin. It helps me tremendously. About 8 weeks ago I developed complete red, itching & possibly eczema. Ive been to the Dermatologist 4 times. Injections for the uncontrollable itch and burning, Prednisone, and prescription topical creams & pills for itching. My gosh! I’ve read posts on here and CoQ10 sensitivity to tbis. My dermatologist thought my fair skin and a pain medication was causing me to have a sun photosensitivity reaction . I stopped taking the pain meds 2 weeks ago. Still reacting when in sun. I use 50+SPD uva/uvb broad spectrum sunscreen.. Paba Free. Thank you for this blog. I will try to keep you posted on what happens. My redness, rash, itch is on arms face neck & upper back only. Areas exposed to sun more. a â…¼ot oof leÐµway in setting your own pay rates. Ð¢his issue can â…¼ead to considerÉ‘bly more money forr you. I’ve been taking Qunol liquid coq10 for about a year time off and on. I have had chronic rashes on my neck, face, upper chest area and upper back area at the base of the neck which I never had before ever in my life. I’ve been taking allergy meds and changing laundry detergent, fabric softeners, soaps and all beauty products trying to find out what is causing my rashes. I think I finally have the answer. I’m going to go off the coQ10 for a while and see if all my symptoms disappear. I’m relieved that I finally think I have an answer to my year of suffering. Good luck to all. I know your post is old but… Was it the Coq10!? I too have been suffering for a year after one of my doctors put me on it. All over my neck, behind my ears, my chest and on my back. Iâ€™m December I stopped taking coq10 and my skin started to clear slowly (had no idea it was bc I stopped taking it – just thought wow finally). Then this past Tuesday I started coq10 again and my skin broke out and was so itchy!!! i appreciate your article and the comments. Yesterday, a friend recommended that i take Qunol 10 FOR A RASH i have had for years but in the past few months suddenly got worse and spread and is so severe, my doctor refered me for a visting nurse to help with wound care–it’s bad. i have not been taking qunol 10 so that didn’t cause it. Now my friend, who is a kind of healer, recommended i take this for a limited time to help my body get rid of toxins or whatever is causing so much irritation (before i had this rash, i never had any skin conditions). So, i appreciate the marketing study you linked, i read it. What i’m wanting to find out but it’s not mentioned in the marketing study or in your comments is at what dose might the qunol 10 cause a rash, because you said your research showed that it’s only at or above a certain dose. The marketing research study showed that rash basically only showed up after 1 to 2 years of taking it. i would just like to find out about the dose, i want to take it for a short time at a dose that’s not high enough to cause a rash. My friend recommended in addition to this i should take 2000mg a day vitamin C, red rice yeast 1200 mg a day and garlic, called garlinase, 2X a day. i always read up on anything i take before i take it. Thanks again for sharing your experience and information. We provide instant tech support to resolve any third-party software conflict with your Norton antivirus pro, diagnose error messages, update virus definitions, and remove viruses and malware from your computer. I started taking coQ10 about a month ago. My scalp starting itching to the point I was clawing myself to death. It was maddening. I am taking because of the statin drugs giving me leg pain. It was working until the itching started. I thought it was my shampoo or conditioner. Change all that and the itching was still maddening. I then tried spraying my head with organic apple cider vinegar to see if I had some sort of yeast on my head. Then got checked for lice as a last resort. Nothing made the difference. Stopped taking coQ10 about 3 days ago and took benadryl for a few days. I am now almost itch free. What I am wondering is if it is an ingredient in the coQ10 or the coQ10 itself. Any suggestions. These have soy in them. Could that be the culprit ? I’m at a loss as it works for my legs. I have been taking COQ10 for about a year and a half. For that amount of time, I have had an eczema breakout on my face. I used cortizone cream to control it, but it did not go away, it would just calm down for a bit then come back and I would use the cream again. When I thought about it, it correlated the time frame with when I started taking the COQ10. I stopped taking the supplement and within just a few days the lesion starting to dissipate. It’s been a few a few weeks now and it’s almost completely healed. I just came upon your blog tonight when I did a search to see if it was in fact the supplement. Lo and behold, here are others that had an effect on their skin when taking it. Thanks for this!